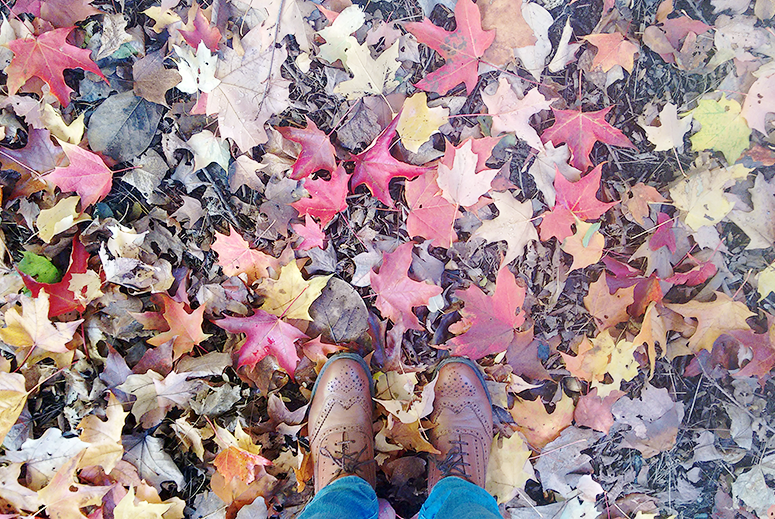 Even though I'm in denial, I've been back from Canada for a week already. However, I'm determined to make the holiday feeling last for a few more months by treating you to a weekly blog post in which I'll be telling you about all the fun I had! I have a lot of different blog posts planned – from one on our hike to the stunning Joffre Lakes to a shopping haul – but for the first one I'd like to highlight some of the most awesome touristy things I enjoyed in Vancouver (some will get dedicated posts in the coming months too), including Stanley Park, Vancouver Aquarium, FlyOver Canada, VanDusen Botanical Gardens, Grouse Mountain, Capilano Suspension Bridge, Library Square, Commercial Drive and Vancouver Lookout. 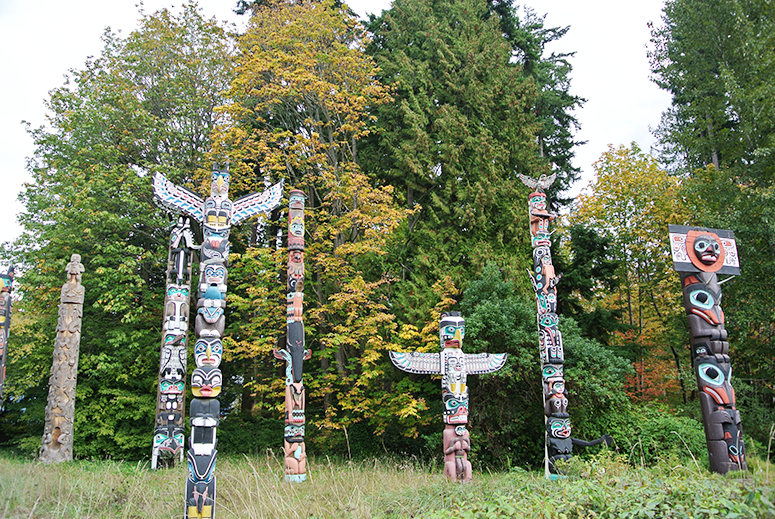 Beautiful Stanley Park is one of my favourite places in the world and it really brought out all the stops this time around. 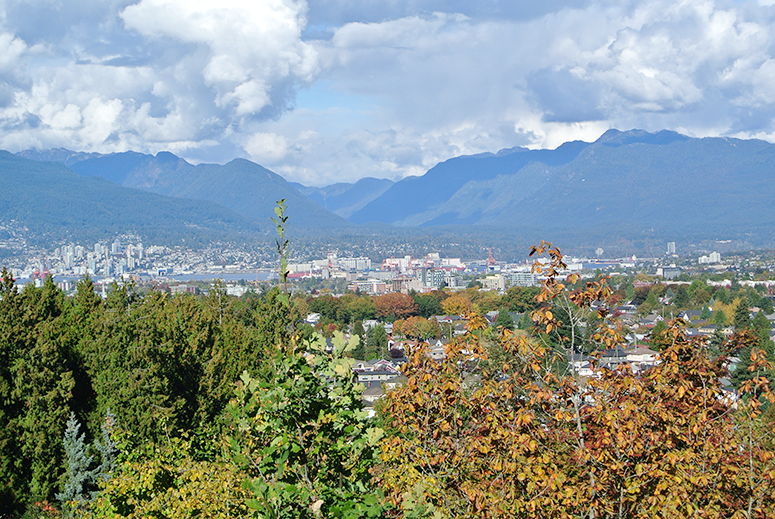 We hired bikes from Bayshore Bicycle & Rollerblades Rentals on 745 Denman Street for a few hours, which was located just minutes away from the park. The bikes were super comfortable and had a basket in the front, which was perfect for our bags and water bottles. 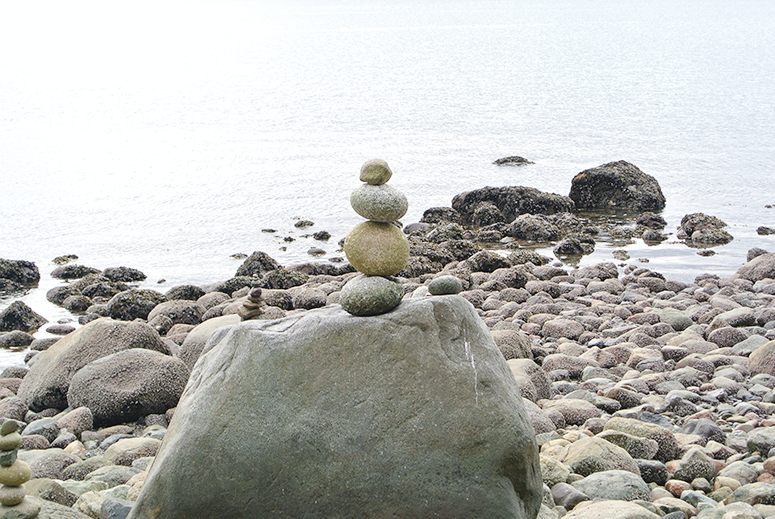 We cycled all along the sea wall, taking in the autumnal colours, and stopped along the way to take photos of the most iconic spots in the park, including the totem poles at Brockton Point, The Girl in a Wetsuit sculpture, the Inukshuks (stone landmarks) on the beach, and the Siwash Rock (a 32-million-year-old volcanic sea stack just off the sea wall which has a tree growing on top). It was all even more beautiful than I remembered. For more info about this amazing park, visit the official website. 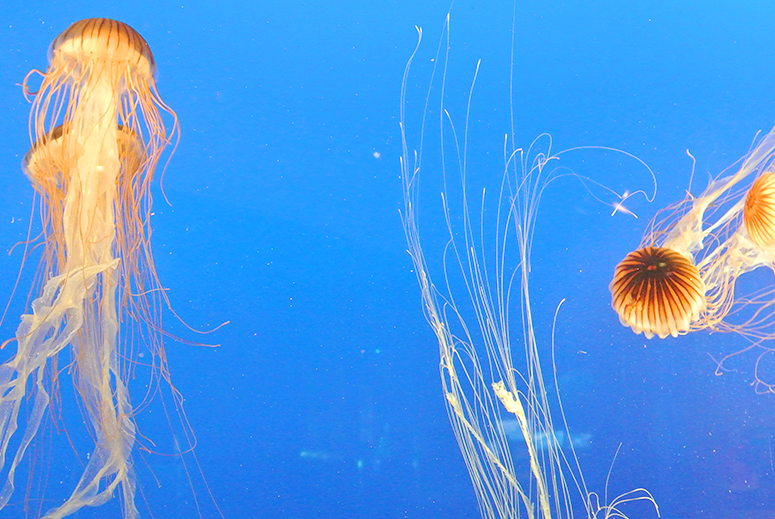 If you're in Stanley Park anyway, definitely pop by the Vancouver Aquarium too, which is such fun! 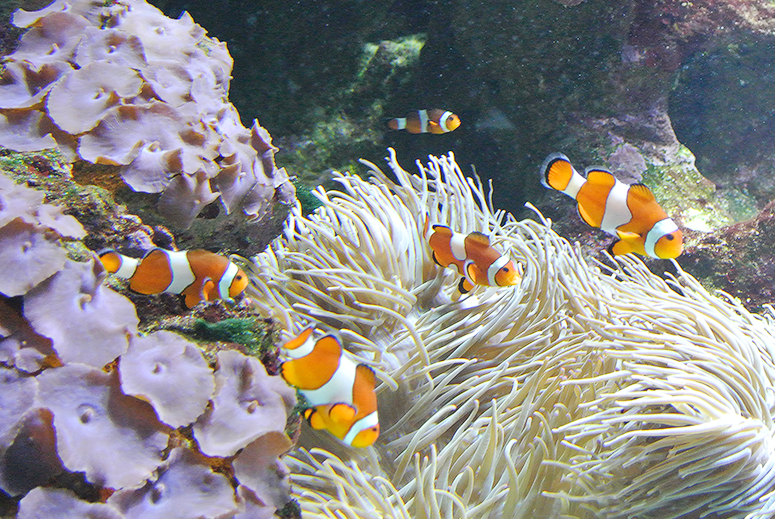 The last aquarium I went to was the London one which was a huge let down, but my faith has been restored by the amazing one in Vancouver. We expected to be there for 1.5-2 hours but we ended up spending half a day admiring all the sea life in this great attraction. It's huge and there is so much to see. There are massive tanks of jellyfish in all sizes and colours, a touch pool, an old sea turtle, adorable otters (we spend a loooong time looking at those), loads of colourful and funny looking fish, shows with sea lions, penguins and whales, and there are even animals that don't live in the sea (birds and monkeys, among others). Basically it was the actual best and it's a must-visit when going to Vancouver. 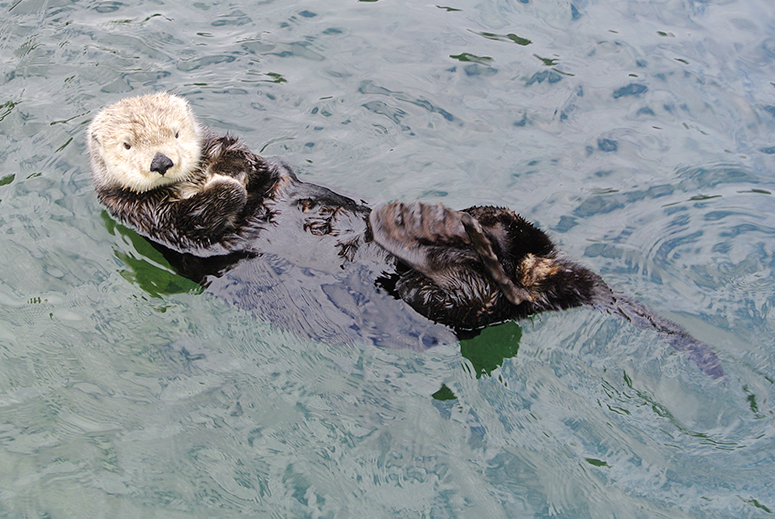 Vancouver Aquarium is located on 845 Avison Way and an adult ticket is $36. Overseas visitors, do keep in mind that prices in Canada don't include tax yet, so you have to take into consideration an additional 15% on top of all prices mentioned in this post. Something I had never done before but was definitely one of my top 5 highlights in Vancouver this time around is the super fun FlyOver Canada. When I mentioned in my list of Things I'm Excited to Do in Vancouver that it sounds like the ride Soarin' over California from Disneyland I was spot on as this one too allows visitors to sit in the ride and 'fly' over mountains, lakes and cities in an immersive experience. However, soaring over Canada is of course even more majestic because the diverse landscape and incredible scenery make for a magical trip. There are many areas in Canada I still really want to explore and having the chance to 'fly' over them in this attraction made me even more keen to check them out. The subtle wind and water effects added to the feel of realism and if you're worried that the swaying of the ride is uncomfortable, don't be. It's very gentle and the movement was totally fine even for me (and I get motion sick quickly). 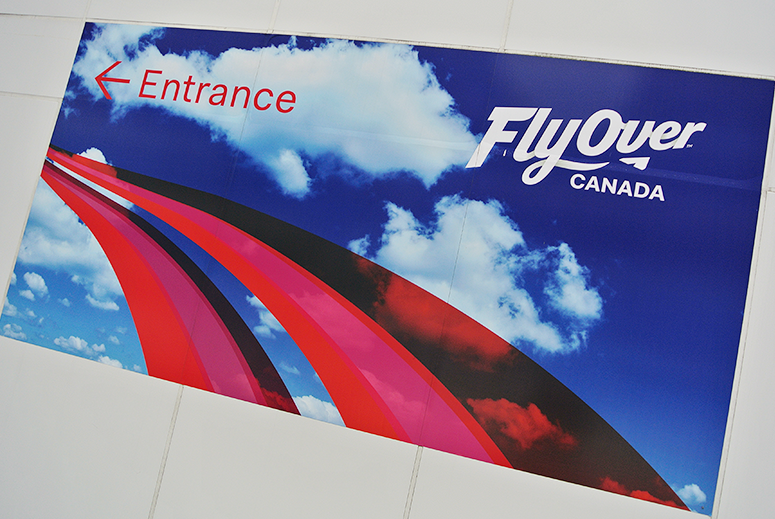 If you can only make it to Vancouver on your trip to Canada make sure you visit FlyOver Canada too, so you can still imagine you've been to many more places in this beautiful country. 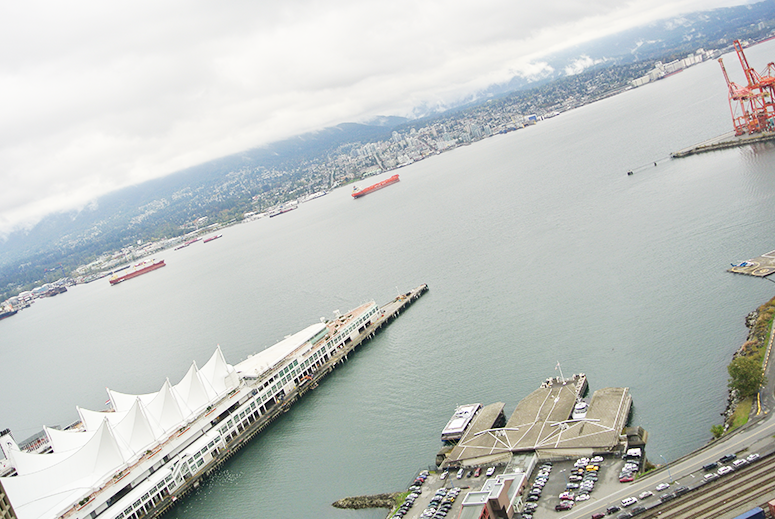 FlyOver Canada is located at the back of Canada Place (the eye-catching building with the white sails on the harbour) in Downtown Vancouver and an adult ticket is $19.76 when booked in advance. While I'd been to VanDusen Botanical Gardens when I lived in Vancouver 10 years ago, I did not remember it being quite as impressive and fun as this time around. This may perhaps be due to the fact that we visited at a less interesting time of year, but in autumn this garden is arguably at its most beautiful. 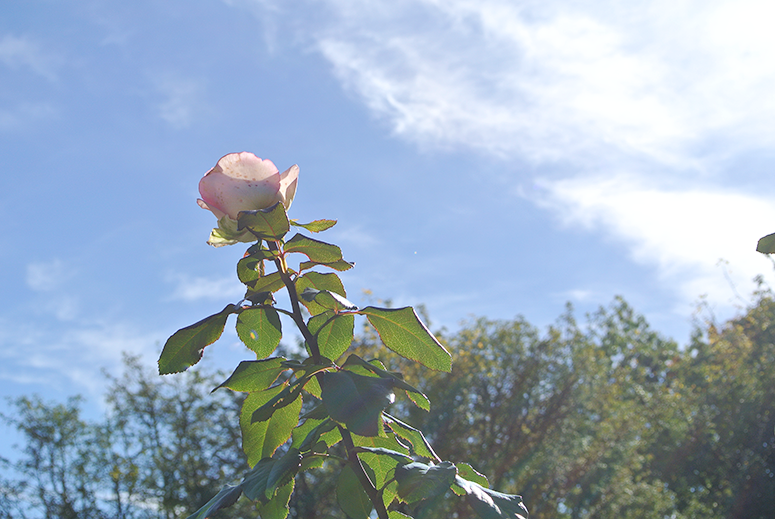 It's quite big and areas I most enjoyed exploring included the Canadian Heritage Garden (which was a forest), the maze, the rose garden, the Japanese Maples (which were bright red when we visited) and Livingstone Lake. We also had fun watching a squirrel hanging upside down from a sunflower to pick the seeds, falling down every few minutes! 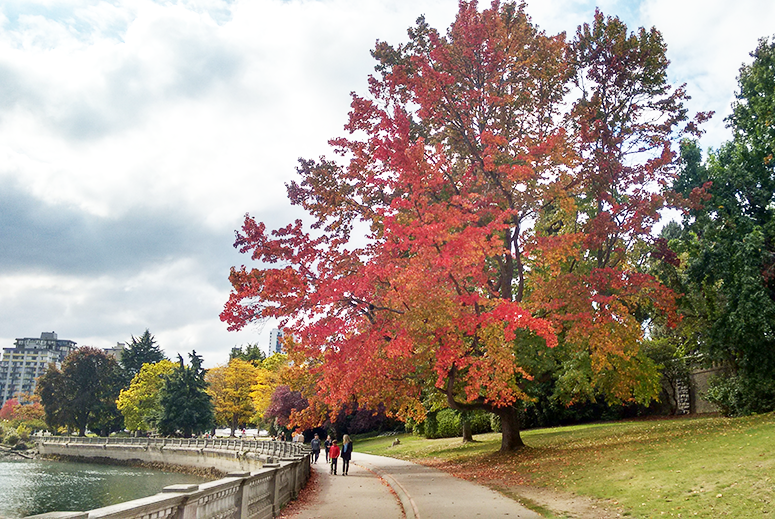 If you visit the Gardens make sure to walk to nearby Queen Elizabeth Park too. You can go into the Bloedel Conservatory (an adult ticket is $6.75) or just walk for free around the park. When you go up the hill you are rewarded with some great views over the city. 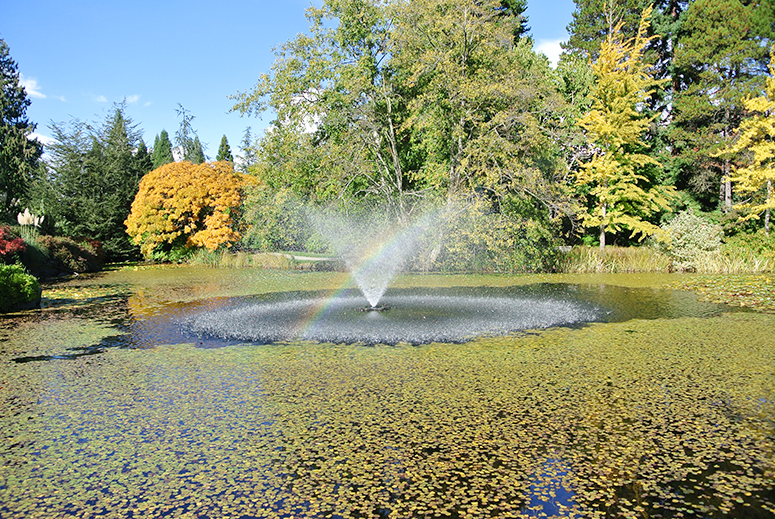 VanDusen Botanical Gardens is located on 5251 Oak Street and an adult ticket starts at $8.25, depending on the time of year you visit. For the real 'Canada experience' you have to, of course, head into the mountains. 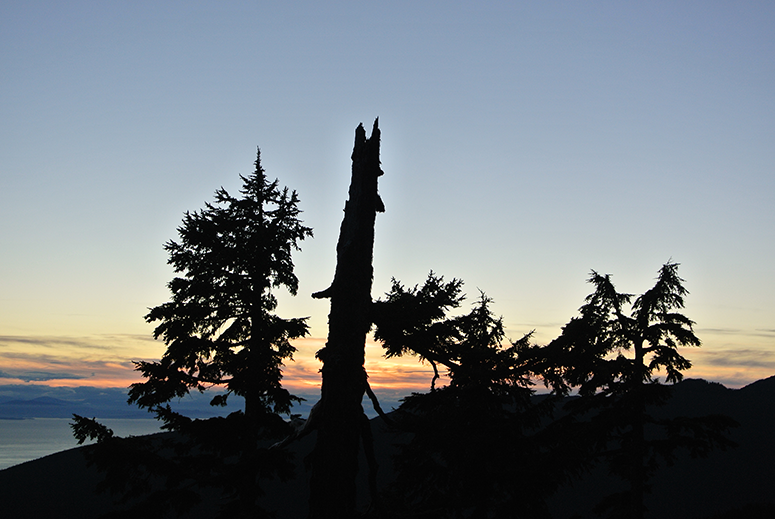 Whistler is great but I'd been before and so this time around we went to its neighbour Grouse Mountain. It's just a short drive from Downtown and there is a bus that goes out that way too. We went around sunset, which was the perfect way to see a different side of the city. We took the Gondola up (if you're very fit you can walk up too, which is a challenge called the Grouse Grind) and first looked at the bears (which are safely behind a gate) before walking the final bit. 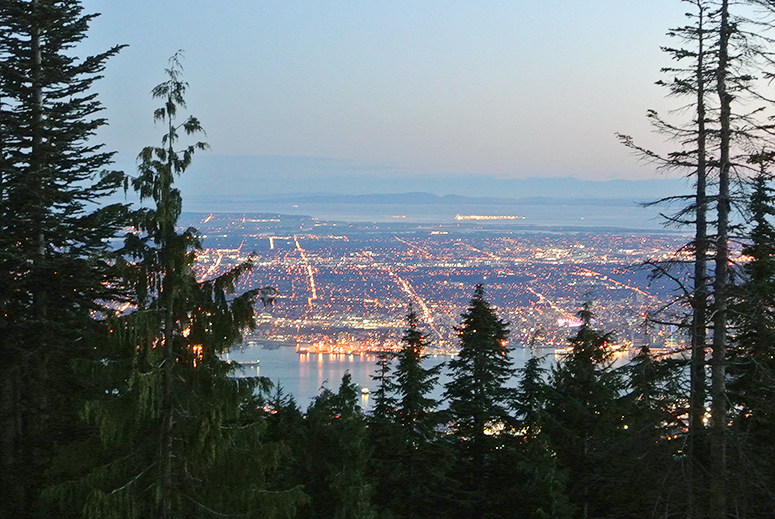 We then took the ski lift down and had a magnificent view over the surrounding areas, including Vancouver and as far away as the islands, while the sun was setting. It was stunning. Worth checking are the times for the final ski lift though as we were very lucky catching the last one down to the viewing platform! 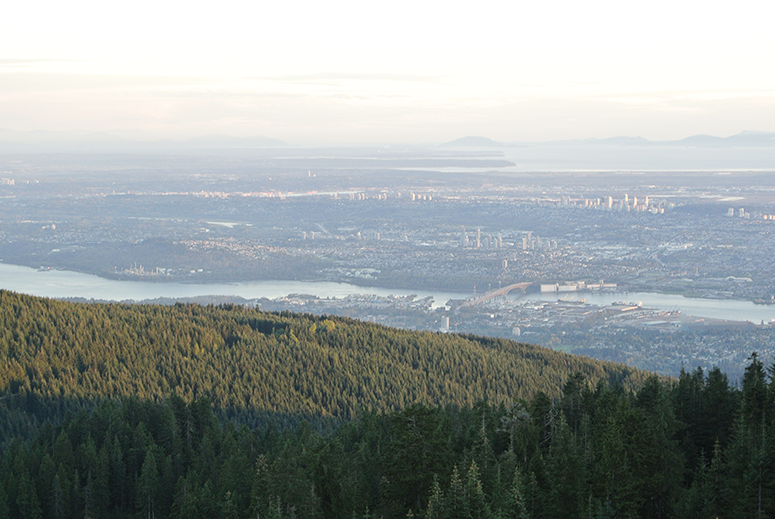 Grouse Mountain is located on 6400 Nancy Green Way in North Vancouver and adult tickets start at £43.95. Included in the ticket are a host of other activities I didn't do but you can also check out, such as the Lumberjack Show and demonstrations, and in winter they have sleigh rides and ice skating. 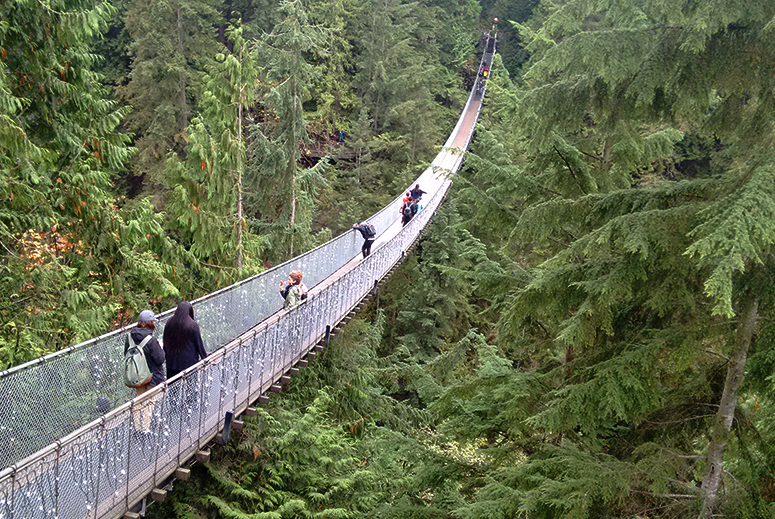 Even though I had done Capilano Suspension Bridge before, I was super keen to go again as it'd been one of the highlights of my previous visit. 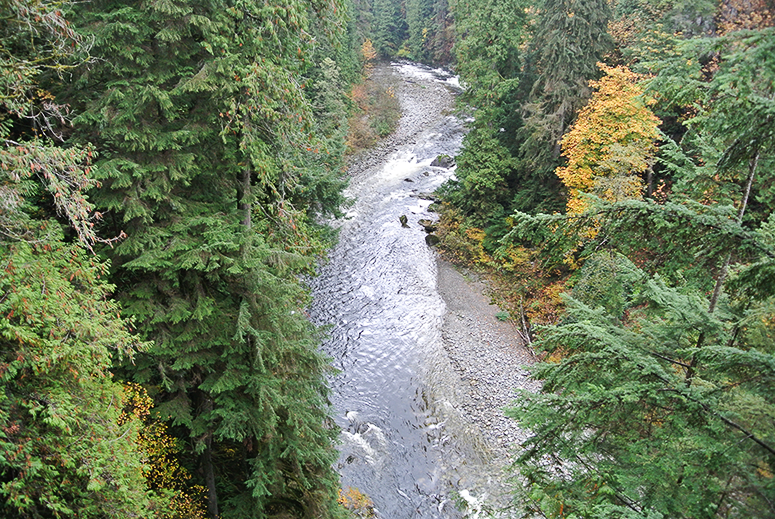 It is what is says on the tin, a suspension bridge over the River Capilano, but not only that it's set in a gorgeous park and there is also a Cliffwalk as well as a Treetop Adventure to enjoy. The Cliffwalk is great for little and big daredevils to see the park from dizzying heights and the Treetop Adventure really brings you closer to nature. And there were fairylights dangling along the various platforms we walked on, which must look especially enchanting in the evening hours when it's darker. I also have to give a shout out to the gift shop at the Capilano Suspension Bridge which was by far the best one I came across on my trip. I love gift shops anyway but this one was huge and had such a diverse range of products. I especially loved all the wood carved souvenirs, the selection of fudge and the huuuuuge range of saltwater taffy. I really wish I'd bought more of the maple flavoured one because it was delicious and that is one flavour I didn't find in any other shops I visited in Canada after. A next time I will just have to buy a huge bag of the maple flavoured one rather than just a few of each flavour. 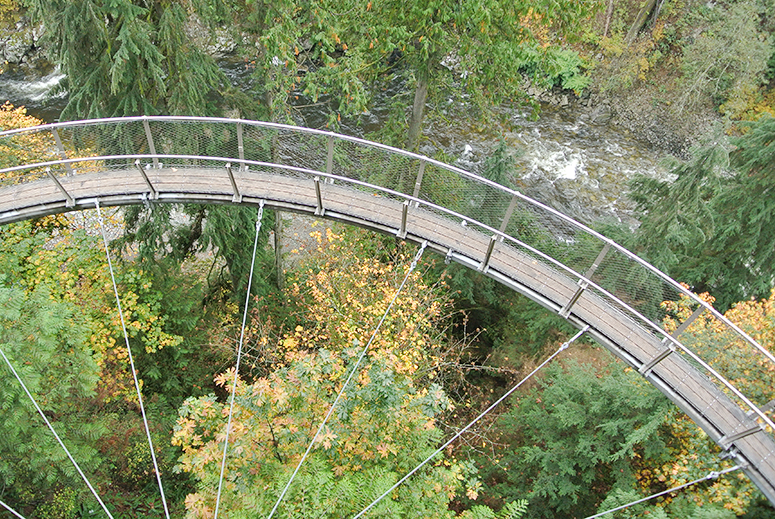 Capilano Suspension Bridge is located on 3735 Capilano Road in North Vancouver and an adult ticket is $39.95 (if you're a BC resident you can get this converted into an annual pass for free!). If you don't have a car there if a free shuttle that runs from Downtown year round. Downtown Vancouver is a definite must-see for any visitors to the city, from the Harbour and Canada Place to Gastown with its steam clock, but my favourite spot in Downtown, aside from Stanley Park, is Library Square on 300 W Georgia St. 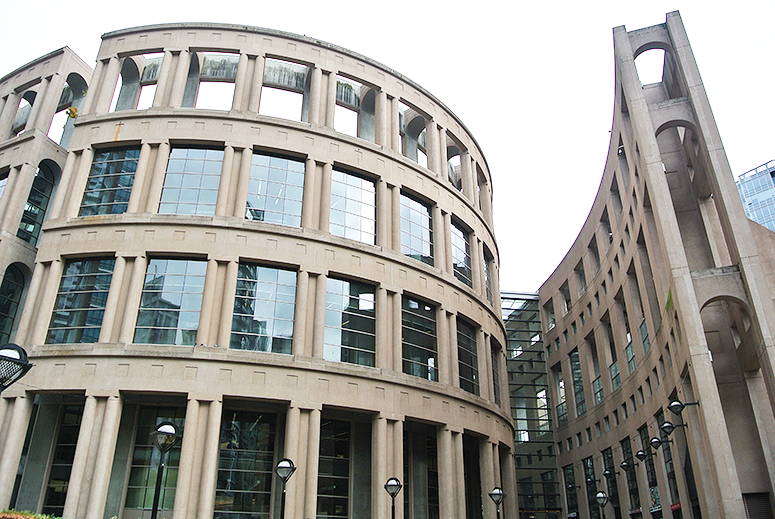 Partly for nostalgia reasons (I spent many an hour using the computers, borrowing books and, of course, reading here while I lived in Vancouver), but mostly because it's such an incredibly impressive building. There's a Tim Hortons just down the road so why not grab yourself a small box of Timbits, sit on the steps of Library Square and have a little break while people watching? 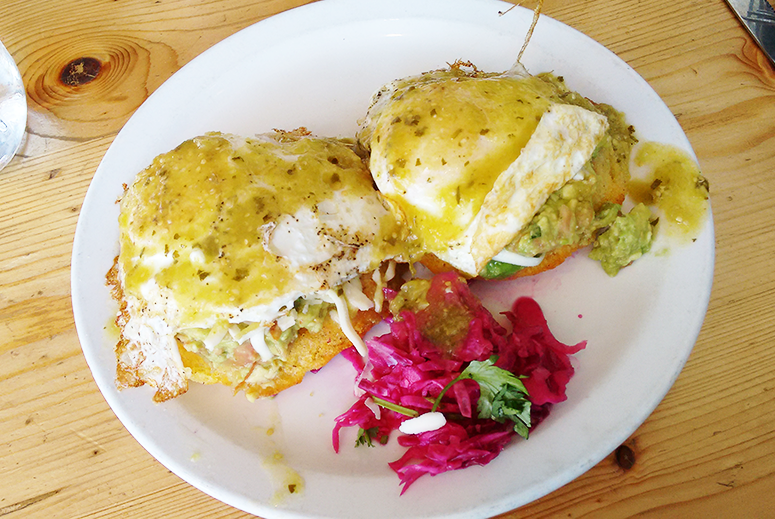 If you're staying in Downtown Vancouver, one thing that might not yet be on your visit-list (but should be) is Commercial Drive. Easily and swiftly accessible by Sky Train (Commercial-Broadway stop, which is both on the Expo and Millennium Lines), I felt it to be similar to East London; an eclectic mix of independent shops and multi-cultural restaurants creating a vibrant atmosphere and a great place to eat out. We went to several of the restaurants on The Drive and my favourites include Bandidas Taqueria, an awesome Mexican veggie place where I particularly recommend the corn muffins pictured below (which are super filling), and the Storm Crow Tavern, a geeky place with great comfort grub and a pub quiz perfect for those who know their 9th Doctor from their 10th Doctor and their Star Trek from their Star Wars. 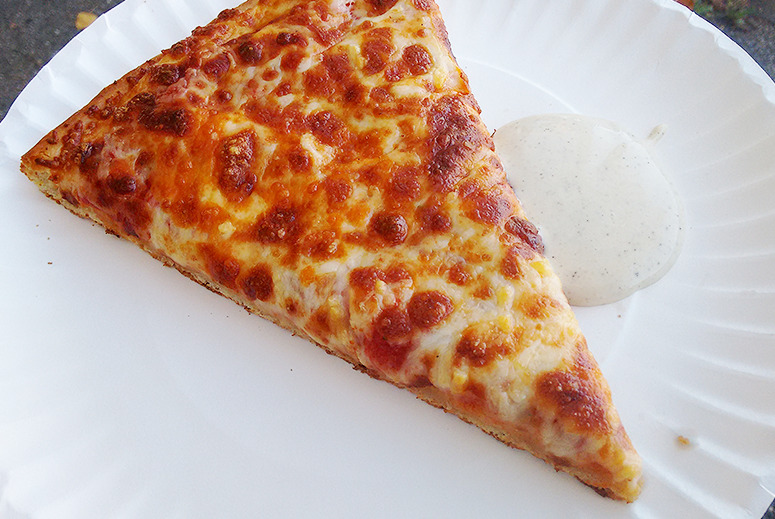 Not officially on the Drive but right opposite the station on Broadway is one of the locations of Uncle Fatih's Pizza and their Four Cheese slice is SO good – definitely worth checking out too for a quick lunchtime bite. 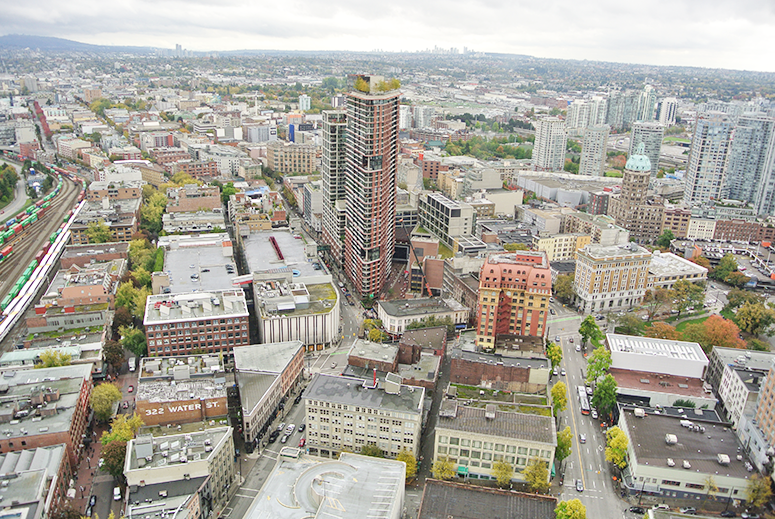 Like any major city, Vancouver is filled with tall buildings that make it hard to see around you and really take in the city. So having the chance to witness it all from above gives you a much better impression of the layout and where everything is – not to mention that it is super fun too! I definitely recommend popping by Vancouver Lookout on one of your first days in Vancouver as it can really help you get a feel of the city. However, it's fun to visit for locals too to see your city from a different perspective. Also, bonus, tickets are valid for the whole day so make sure you watch the city by day AND night. If you can time it for sunset, that'd of course be even better. 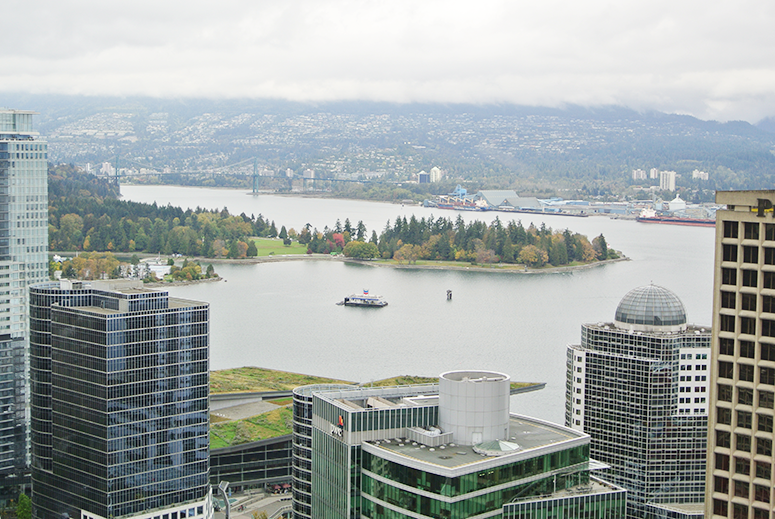 Vancouver Lookout is located on 555 West Hastings Street (just a few minute walk from Canada Place) and an adult ticket is $16.25.